The short version: yes and no! Scrum is Agile but Agile is not (only) Scrum. Organizations want to become flexible and Agile or as we like to call it at Xebia: Future Fit. Just like when you go to the gym and want to become fitter. Yes, there are more ways to achieve that. You can see Agile as a container for multiple ways of working. In case of the gym there are many sport activities you can do. Scrum is one of the frameworks that could help you to become more Agile. Besides Scrum there are more sport programs (Kanban, DSDM, XP) that supports the organization to become Agile. 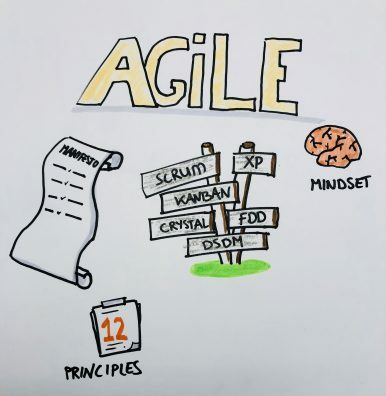 That`s just the basic explanation, but Agile is a lot more than just a container. 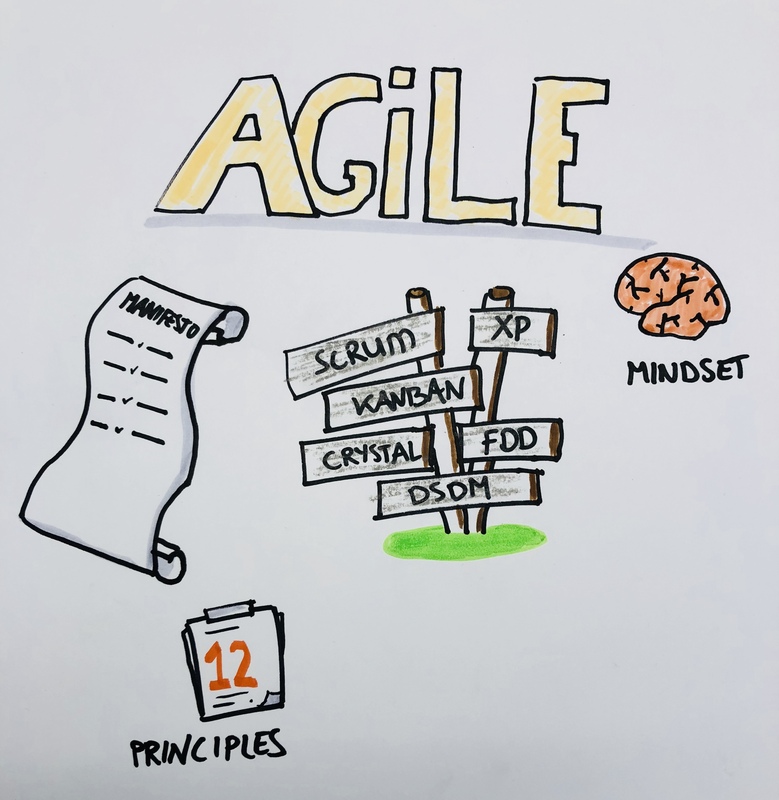 Agile is about mindset, the way you think, the values that you live by. You can read more about Agile in the Agile Manifesto. Scrum is simple to understand and difficult to master. In practice this means that it will take time to really understand why each component within the framework serves a specific purpose and is essential to Scrum’s success and usage. With Scrum you work in short iterations named “Sprints”. At the end of every Sprint you deliver a potentially releasable product increment. The core of Scrum is based on empiricism. That means that you will decide on actual experiential learnings what you will do next. This will show in Scrum on the following three pillars: transparency, inspect and adapt. Everything within Scrum is interwoven with these aspects. For example the Sprint Retrospective is the moment for the Scrum team to look back at the Sprint (inspect) to see if they can improve (adapt). You can read more details about Scrum in the Scrum Guide. In my next blogpost you can read more about Scrum. Hope that this helps you to explain the difference between Agile and Scrum! Please let me know if this helps you and drop a comment below!